Nearly a dozen instances of ceasefire violations by Pakistan has taken place near LoC sinec June. Jammu: Pakistan violated ceasefire in two places on forward posts along the Line of Control in Jammu and Kashmir's Rajouri district today, shelling mortar bombs and opening fire. No injuries or damages have taken place. The Indian army is retaliating strongly and effectively, a spokesman of the army said. "Pakistan Army indiscriminately fired small arms and 80 mm mortars from 0500 hours to 0545 hours in Bhimbher Gali sector along the Line of Control," the spokesman said. The Indian Army, the officer said, is only targeting Pakistani posts. "Unfortunately Pakistan is violating ceasefire in civilian areas. We are giving full help to our citizens," he added. One civilian has died and seven others have been injured in the ceasefire violations over the last few weeks. On June 12, there have been three ceasefire violations, with the Pakistani army targetting Indian posts in Krishna Ghati sector along the Line of Control in Poonch. 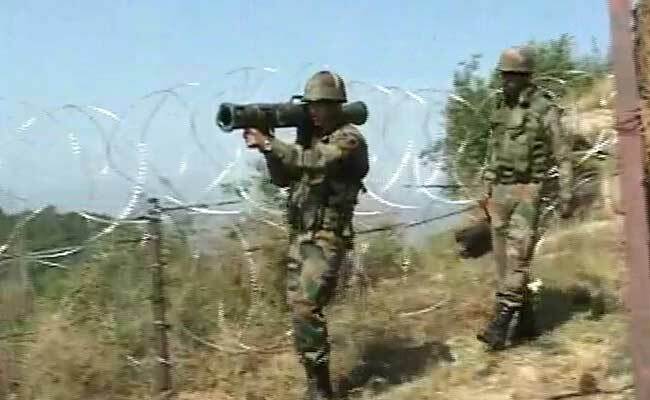 There have been eight ceasefire violation over the last four days in Jammu region. It takes the number of ceasefire violations in the area to 12 since the beginning of June in areas near the Line of Control. The ceasefire violations from Pakistan are often meant as cover fire for terrorists trying to infiltrate into India. Since Monday evening, terrorists have carried out a series of attacks. Over a span of four hours on Tuesday evening, four attacks took place across Kashmir in which 13 security personnel were injured. Half a dozen other attacks have taken place since Monday evening.